Brain and tube corals of the Great Blue Hole in Belize, with trunkfish. While freediving in the Great Blue Hole in Belize I saw this unusual coral formation made of tube coral and brain coral, home of a little trunk fish and his friends. 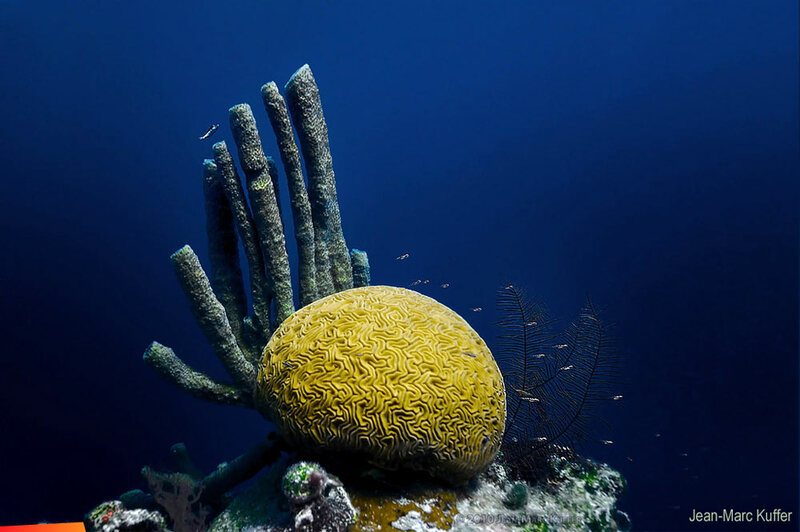 Brain corals are living creatures that grow up to 6 foot high and live as long as 900 years, but unfortunately they are now dying off at an increasing rate: in the Caribbean ocean, over 75% of the corals already disappeared, 10% of them listed as critically endangered.